Tree-Trimming and a Holiday Snack Mix. I am so incredibly excited to get our Christmas tree this year. Since it’s Jane’s first Christmas, it’s like I’m experiencing the holidays for the first time too. You should have seen her eyes widen when we walked down the holiday decorations aisle at the store the other day, and she saw all of the trees and lights and giant blow-up lawn decorations. She was in complete awe. 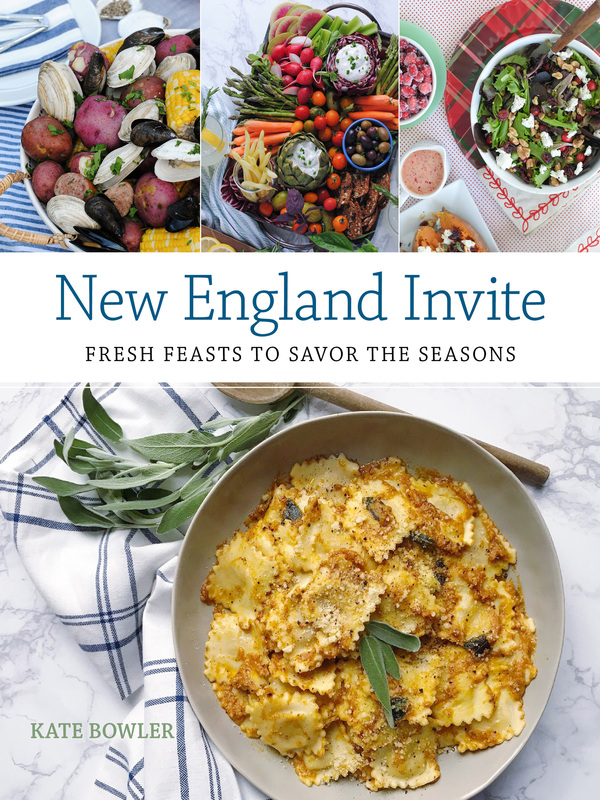 I know these moments of childhood holiday magic can be fleeting, so I’m determined to start new traditions right away and take advantage of this time when the holidays have that extra special sparkle. When I was growing up, tree decorating had a very particular process at our house. Dad tackled the lights, mom tackled spacing out all of the big Christmas ball ornaments, and my siblings and I unwrapped all of our special ornaments and placed them on the tree (with me, the bossy big sister, telling them they were putting them in the wrong places). As we decorate the tree with Jane this year, I thought I’d start of our own traditions, like picking out a few of my favorite Christmas records to play while we’re hanging ornaments, making some hot cocoa or mulled wine for the grown-ups, and serving a holiday snack mix that we can nibble on near the fireplace. I’ll probably still be bossy and tell everyone to move their ornaments a little to the left! As I was brainstorming the perfect snack for tree decorating, I thought about how fun it would be to make something that is not only delicious for our family, but could also add some decorative elements to the tree! 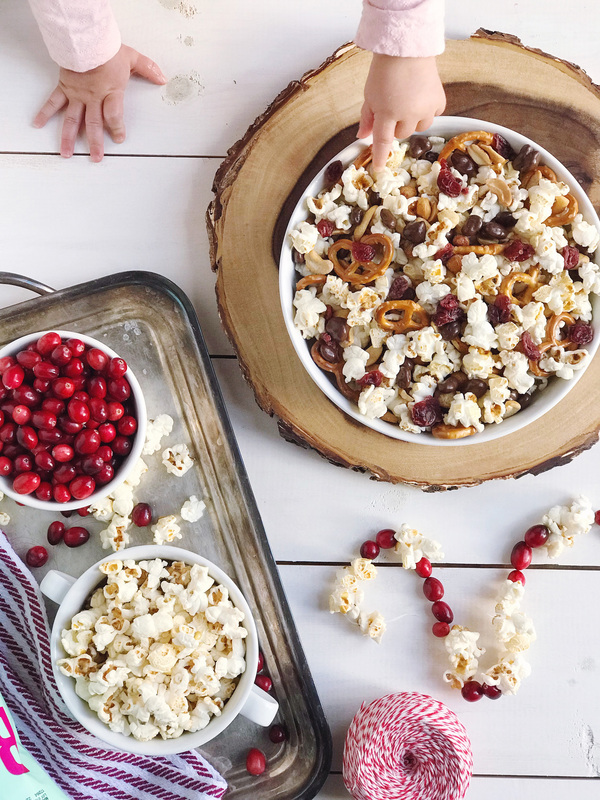 Have you ever strung popcorn and berries to make tree garland? It’s such a pretty decoration and simple to make. 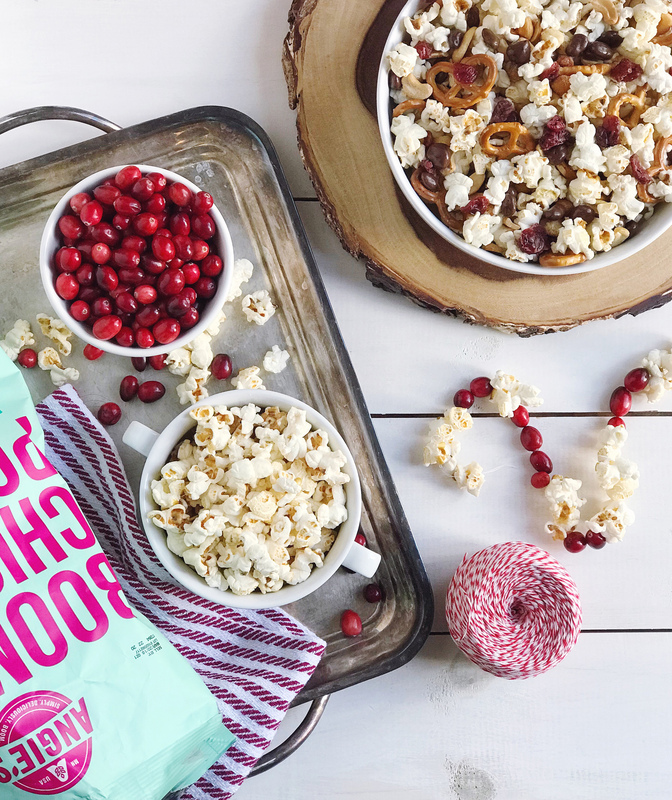 I used a needle and some thread and alternated threading popcorn kernels with fresh, firm cranberries. The colors are amazing, and I snuck in a bite of Angie’s BOOMCHICKAPOP popcorn in between just about every other piece that made it onto the garland. 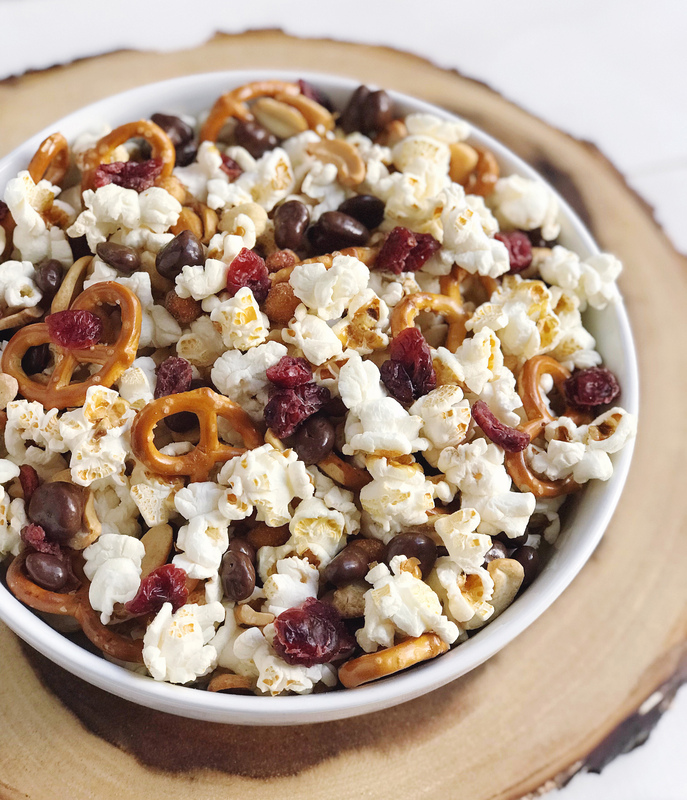 Taking inspiration from the garland, I made a big bowl of holiday snack mix with some of the same flavors. 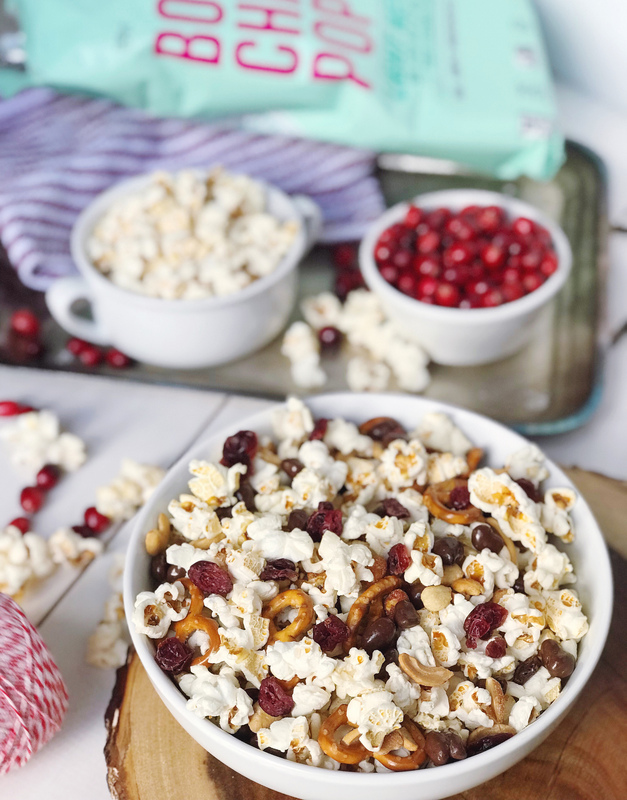 I used whole grain-filled Angie’s BOOMCHICKAPOP Light Kettle Corn (the sweet and salty combination is so addictive) and mixed in mini-pretzels, chocolate covered raisons, roasted peanuts and cashews, and of course dried cranberries! The combination hits all of the best flavor notes and is perfect for grabbing handfuls of while we’re busy hanging decorations and trimming the tree. I can’t wait to make it an annual tradition! 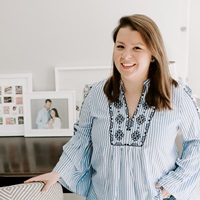 Please note: This post was created in partnership with Angie’s BOOMCHICKAPOP; all opinions, images and ideas are my own. Thank you for supporting brands that support this site! 5 Easy Tips for Styling A Holiday Bar Cart. DIY Malachite Gift Tags and Giving Back With Garnet Hill.